As well as the individual branches, there are a number of Islandwide organisations affiliated to the Conservative Association, which organise activities and raise funds in support of the Party. These are listed below. If you wish to get in touch with any of them, you can do so by contacting the Conservative Office in Newport. More details on activities being arranged by these organisations can be found on the events page. The Conservative Party's youth organisation is for all members aged 25 and under. The YCs is all about involving young people in politics and addressing the issues that matter to them. Here on the Isle of Wight, we are currently in the process of re-establishing our YC branch and have an event coming up with Bob Seely MP on Saturday 4th May - click here. The CWO is the grassroots network that provides support and focus for women in the Conservative Party. Our local branch here on the Isle of Wight holds monthly meetings at which guest speakers address the CWO members on a range of different topics. Women of all ages are welcome to get involved with CWO and join the discussions. This organisation meets monthly at Shanklin Conservative Club on Friday lunchtimes. The well-attended luncheons hear from political and non-political speakers on a wide range of issues. An annual summer garden party is also held. Significant funds are raised by the Ladies' Luncheon Club to support Conservative activities on the Island. All female party members are welcome to join the Club. 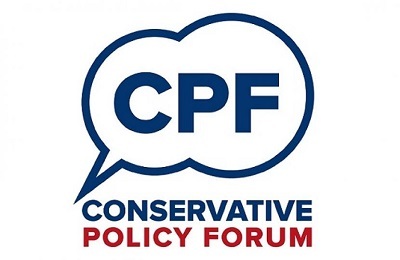 The local Conservative Policy Forum meets monthly, and is hosted by different branches around the Island. All events are free of charge and give local members the opportunity to contribute to the development of Party policy. Each monthly discussion is on a different topic and is supported by a discussion paper provided by the Conservative Party nationally. The outcome of our local discussions are then fed back to the Party and the Frontbench Team.